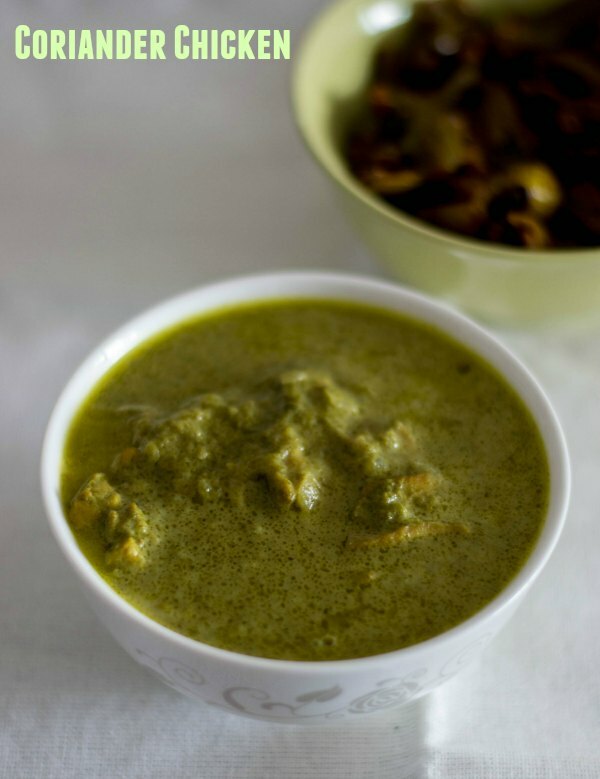 Coriander Chicken curry – we call it as pacha kozhi kurma. 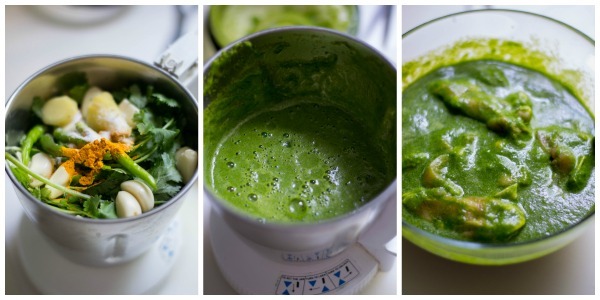 This is an extremely simple recipe and can be put together in less than 45 minutes. The poppy seed paste (khus khus) added at the end adds an unique aroma. This is very popular in the pollachi / udumalpet region of Kongunad. Here is how to do the recipe. Take a blender / mixie and add all the ingredients listed under “to be ground to a paste”. Add 1/2 cup of water and grind to a fine paste. Add the paste to the chicken pieces and mix well to coat. Set aside. Traditionally, the chicken is not marinated. But I like to do it this way. Let it marinate for 10-15 minutes. Heat oil in a pan and add in the onions. Fry for few minutes till the onions are soft. Add in the chicken mixture to the pan. Cover the pan and cook the chicken gravy on medium flame for 4 whistles in the pressure cooker. Do not cook on high heat as the chicken can burn at the bottom. Switch off the flame and wait for the pressure to release naturally. Now we need to make a spice paste. Dry roast the poppy seeds, cloves and cardamom until fragrant. Grind the spice mixture with 1/4 cup of water to a fine paste. Add the spice paste to the cooked chicken gravy. Add in one cup of coconut milk. Bring the mixture to a mere simmer. Do not let the mixture to boil for a long time. Switch off the flame. 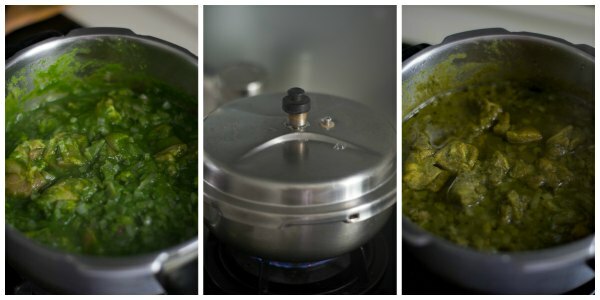 Easy recipe for coriander chicken curry. Made with ground coriander and spices. 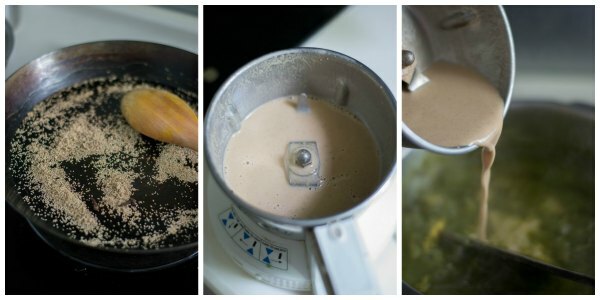 Take a blender / mixie and add all the ingredients listed under “to be ground to a paste”. Add ½ cup of water and grind to a fine paste. 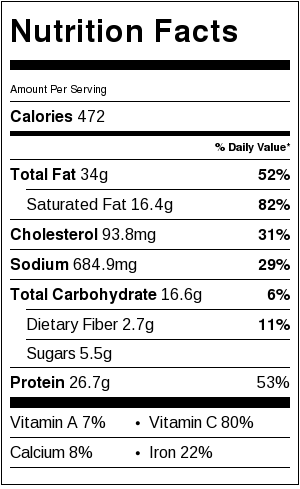 Add it to the chicken pieces and mix well to coat. Set aside. Heat oil in a pan and add in the onions. Fry for few minutes till the onions are soft. Add in the chicken mixture to the pan. Cook the mixture on medium flame for 4 whistles in the pressure cooker. Switch off the flame and wait for the pressure to release naturally. Dry roast the poppy seeds, cloves and cardamom until fragrant. Grind the spice mixture with ¼ cup of water to a fine paste. Add the spice paste to the cooked chicken gravy. Add in one cup of coconut milk. Bring the mixture to a mere simmer. Do not let the mixture to boil for a long time. Switch off the flame. Hi suguna i am avery big fan of urs i ve tried commenting many times and there was some technical error . Hope u get to read this. 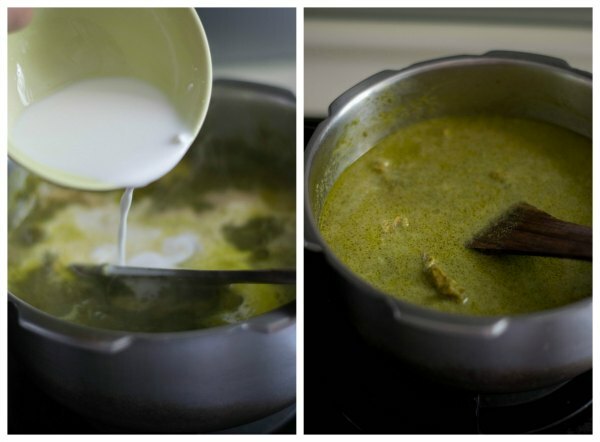 Ure kongu style chicken curry is an amazing recipe ive made it several times , ure kancheepuram idly was also a massive hit, this chicken curry is sooo easy but the taste is aaaaammmmmazing. Thank you sooooo much for your efforts. Thank you so much Chella. I am really glad that you like the recipes. Thanks a lot! I Cooked Coriander chicken curry(I used naatu Kodi). Since i like very hot curry i used extra green chillies and didnt use coconut milk. My goodness its so simple and yummy . Thanks a lot for the recipe. Hi Suggana, I am a regular to you blog and absolutely love your South Indian recipes. It’s really nice to see people like yourself taking the trouble to share such great recipes to everyone. What I also really appreciate is the way you explain these recipes. 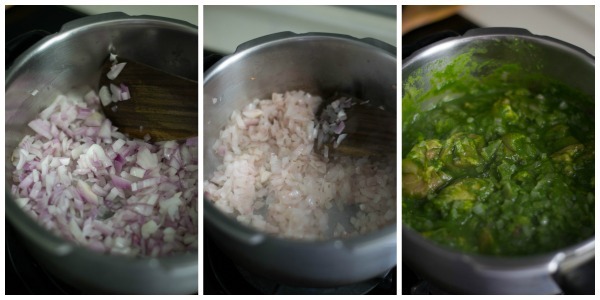 For novice cooks such as myself I know I can blindly follow your recipe and the outcome will be delicious. They are foolproof. Whenever it’s South Indian food, yours is my go-to page. Thank you and keep doing the great job you are. 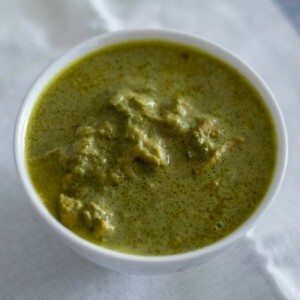 P.S- tried your green chicken curry and it was undoubtedly delicious and flavourful. Thank you so much Himali. Really happy to know that you like the site. Your comment means a lot to me. Happy Cooking. grind them as described in the recipe. Can we substitute poppy seeds with something else. Can we omit coconut milk and add coconut paste instead? Hi Priya. For this recipe, coconut milk works well. Coconut paste will make it a little grainy. Thank you so much. Glad you like the recipes. Happy cooking! Can we substitue poppy seeds to cashews ? Hi, I made this yesterday, whole family liked it. I added some mint too. Only thing that was hard was to grind poppy seeds. They wouldn’t turn into powder. Nevertheless, curry was wonderful. Thank you! Thank You Sona, Did you grind it with water. The poppy seeds? Thanks Suguna. It’s wonderful to see the posts. I love the way how you associate the regions and their food ways. No outsider understands the true meaning of India being a diverse country. Although I am a vegetarian I prepare the food for my family and in the recent times I blindly click your website for ideas. Recently I had a whole weekend food coming from your website. Thanks for sharing your knowledge. Wishing you a wonderful time at Honk Kong. Thank you so much Madhavi. Means a lot!